As we head into April, we wanted to share with you some of the upcoming events we are putting on at ICI. We are happy to welcome several distinguished lecturers, including: Manoranjan Mohanty, Michael Kugelman, David Ludden, Rohit Negi, and Silvia Lindtner. Please remember to register for the events by clicking on the respective links in the announcement below. You can always find a list of all our upcoming events on our Events page. Drawing on Professor Mohanty’s more than three decades of research, this talk will focus on how China’s “reform and open door” policy evolved and helped achieve tremendous economic success. Professor Mohanty will also examine how this policy has generated serious social and environmental problems. In his recent book, ‘China’s Transformation: The Success Story and the Success Trap’, Mohanty argues that the consequences of this story of success and growth are so strong that it has been difficult for China to change its main development path and to achieve a desirable level of equity and sustainability. Professor Mohanty describes this as the “success trap” that China is currently grappling with. 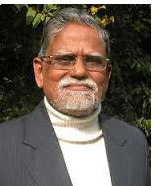 Manoranjan Mohanty is a renowned political scientist and China scholar whose writings have focused on theoretical and empirical dimensions of social movements, human rights, the development experience and the regional role of India and China. As Vice-President of the Council for Social Development (CSD) and Editor of CSD’s social science journal Social Change, published by SAGE, he brings a wealth of experience from both policy and practice perspectives. The China-Pakistan Economic Corridor (CPEC) is a $62 billion infrastructure project associated with Beijing’s broader Belt and Road Initiative. It entails new roads, power plants, and ports across Pakistan as part of China’s global effort to facilitate access to markets far and wide. CPEC has the potential to bring major benefits to Pakistan’s economy, but because of security and financial issues it is also fraught with risk. This lecture will examine CPEC’s prospects; discuss how it is perceived in Pakistan, China, India, and the US; and consider its strategic implications for both New Delhi and Washington. 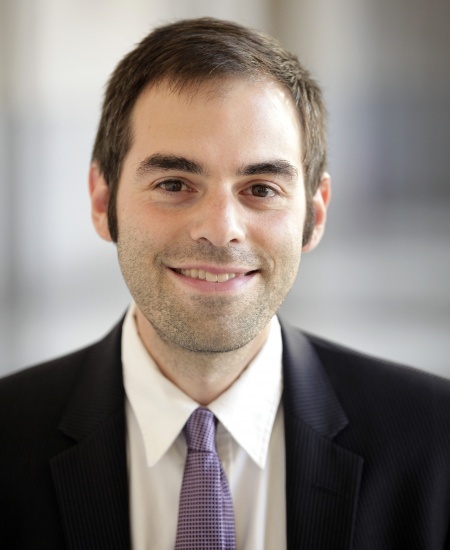 Michael Kugelman is the Asia Program Deputy Director and Senior Associate for South Asia at the Woodrow Wilson Center, where he is responsible for research, programming, and publications on the region. His main speciality is Pakistan, India, and Afghanistan and U.S. relations with each of them. regularly writes for publications that include Foreign Policy, Foreign Affairs, and War on the Rocks. He is also a regular contributor to Axios's Expert Voices platform. Additionally, he has published op-eds and commentaries for the New York Times, Los Angeles Times, Politico, CNN.com, Bloomberg View, Al Jazeera, and The National Interest, among others. The horrors suffered by Rohingyas in Myanmar today - which now appear ever more frequently and graphically in the news - represent one brutal extremity of a kind of victimization that haunts countless people whose only crime is living in old spaces of human mobility that modern empires carved into national territories. Methodological nationalism justifies their precarity with histories that provide charters for national belonging, tying citizens firmly to specific places inside national borders. In a world covered by nations, human rights depend on that belonging. Old spaces of mobility can thus become perilous homelands where nations produce minorities as aliens eligible for marginalization, exclusion, and expulsion. Histories of mobile social space may implicitly disenfranchise their residents, but we need those histories to escape methodological nationalism and explore interactions of mobility and territoriality that generate globalization, at many levels of scale. All these post-colonial predicaments challenge any history of the Rohingya crisis, which I approach here through local histories of Global Asia around the Bay of Bengal. This talk is part of The Carol Breckenridge Memorial Lecture in South Asian History series. 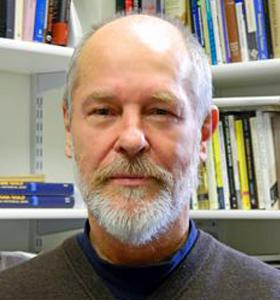 David Ludden is Professor and Chair in the Department of History at New York University. He received his Ph.D. in History from the University of Pennsylvania, in 1978, and served on the Penn faculty from 1981 until 2007, when he came to NYU. He has directed South Asia programs at Penn, the Social Science Research Council, the Fulbright Senior Scholars program (CIES), and NYU. He served as President of the Association for Asian Studies in 2002-3. His research focuses on very long-term histories of globalization in Asia, particularly as they concern trajectories of capitalist economic development, spatial inequity, natural environments, and changing material conditions in everyday life. An event by the India China Institute, co-sponsored by the Global Studies Program at and the Environmental Studies Program. The expanded reproduction of rural livelihoods has led to an increasing number of households in the Indian Himalayas—especially in the state of Himachal Pradesh—route available surplus to nearby urban areas in search of speculative footholds. This paper is interested in the production of space and everyday lives concomitant to this process. Rohit Negi is with the School of Human Ecology at Ambedkar University Delhi. 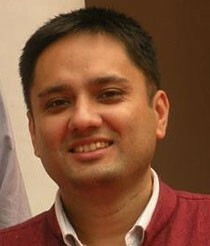 He has a PhD in Geography (Ohio State) and masters degree in Urban Planning (UIUC). Rohit's research lies at the intersections of urban geography and political ecology, and his ongoing projects concern Delhi's toxic air, and Himachal's construction boom. An event by the India China Institute, co-sponsored by the Global Studies Program. Since 2014, a series of Western media outlets from the Wired UK over the Economist to Forbes has begun to celebrate the city of Shenzhen in the South of China as a rising hub of innovation, a so-called “Hollywood for Makers” and “Silicon Valley of Hardware.” These media stories took up an idea that open source hardware advocates had been promoting for several years: that the city of Shenzhen had become crucial for the realization of one of the key promises of the maker movement, i.e. to prototype concrete alternatives to the pitfalls of the information society and contemporary capitalism. Just a couple years earlier, Shenzhen was largely known as a place of copycats and fakes that lacked creativity where ideas created elsewhere were simply executed and mass produced. What happened within the timespan of only a few years that changed Shenzhen’s image from demonstrating China’s continuous lag in technology innovation towards a place where alternatives to neoliberal capitalism could be prototyped? 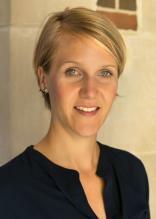 Silvia Lindtner is an assistant professor at the University of Michigan in the School of Information, with a courtesy appointment in the Penny W. Stamps School of Art and Design. Lindtner's research and teaching interests include innovation and technology entrepreneurship, making and hacking cultures, shifts in digital work, labor, industry, policy, and governance. This work unfolds through a deep engagement with issues of gender, inequality, and enactments of masculinity in engineering and computer science fields, politics and transnational imaginaries of design, contemporary political economy, and processes of economization. Lindtner draws from more than eight years of multi-sited ethnographic research, with a particular focus on China's shifting role in transnational and global tech production alongside research alongside research in the United States, Taiwan, and Africa.